It never breaks a sweat to keep your air mattress clean. In fact, it will take you under half an hour to clean your mattress and give it the best tweak. Better still, this is a process that you would indulge in only on a routine basis. And the best part is this, cleaning your best air mattress is a no-brainer at all. Here are the four simple ways to give your best air mattress the spotless touch you’ve been yearning for. Read on! How to clean air mattress -step by step. Before you start cleaning your air mattress, you have to prepare it for the process. There are a few things that you will have to do. The reason you need to do this is to keep yourself safe. Water is a great enemy of electricity and if the two come together it could be fatal. Make sure your air mattress is disconnected from its source of power. If you use sheets, blankets, and other mattress coverings to make your air mattress comfortable, you will have to remove them first. You can clean them up separately or fold them up for later use. It’s important to inflate your air mattress first before you start to clean it up. The reason for this is a simple one; an inflated air mattress allows you to give your mattress a great wash. It will easily give you the access you need on every nook and cranny to give your mattress a spotless wash.
You can now start cleaning your air mattress. There are two distinct methods that you can use to clean air mattress. They include the following. Giving your air mattress a mild soap wash is often meant for routine cleaning. It is recommended that you give your air mattress a wash after every use and there isn’t a better way of doing it than using a mild soap. Pour a few drops of mild detergent in the water. This process is a simple DIY cleaning routine that will keep your air mattress in shape for a very long time. You can do it without having to use the user manual. When using this process, make sure that the rag you are using is free of any dust particles. Apart from using a soft cloth and mild soap, you can also use a soft cloth in rubbing alcohol. The process works more or less the same as soapy detergent. However, in this case, the bowl of water is substituted for rubbing alcohol. You should damp a soft rag in the alcohol and steadily wipe every inch of your air mattress don to the last cranny. Make sure you keep an eye for any visible dirt. If there is any stubborn dirt, you should concentrate on it for a while and pour a little cleaning alcohol directly on it before rubbing gently until it comes out. 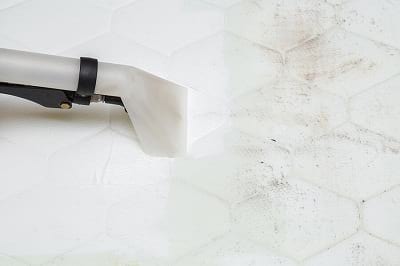 Unlike the very first two cleaning options, a vacuum cleaning is often best for use if your mattress has debris and any other visible dirt particles. Vacuum cleaners will easily clear any cumulated dirt from your mattress without leaving your mattress with any form of scratch, puncture, tear, or damages. You can always start with a vacuum cleaner before going down to using a mild detergent or cleaning alcohol. This will ensure that you do away with any debris that might scratch your air mattress as you clean. Baking powder reduces odor. Because of this, it is advisable that you give your air mattress a “very” light sprinkle of the baking powder. Then let the baking powder sit for a few minutes before you can vacuum it with the vacuum cleaner. Your air mattress pump also needs to be cleaned. To clean the pump, use mild detergent and damp cloth. Wipe your mattress pump and allow it to air dry too. However, you must make sure that once dry your pump is stored in a safe place away from dust. A box or container would do a great job. Once done with cleaning your mattress, you should air dry your mattress. This should give your mattress a soft dry and leave it fresh. Cleaning your air mattress is the best way to keep grime, mold, and dirt away. If your mattress develops mold and mildew, you will need vinegar instead. You can take your air mattress and put it under a sunlit sky for the collected moisture to vaporize or use vinegar and in equal ratios with water and then use the solution with a dampened cloth to wipe your air mattress. When done, you can wipe with soap, alcohol, and apply a disinfectant. This will keep bacteria and any fungi away. Additionally, you should remember to clean your mattress when it is inflated to capacity as this helps you to reach every corner that you need to clean your mattress and keep grime at bay always. If you are looking for the best way to clean your twin size or king size air mattress this simple guide will help you. You can do it alone and you will enjoy the best air mattress experience ever. Share is with your loved ones and saves a soul today!